Powerful industrial strength penetrant and extreme lubricant—both safe & non-toxic. Powerful industrial strength penetrant, extreme lubricant—both non-toxic & environmentally-friendly. Is a high performance penetrating oil, lubricant & moisture dispersant. 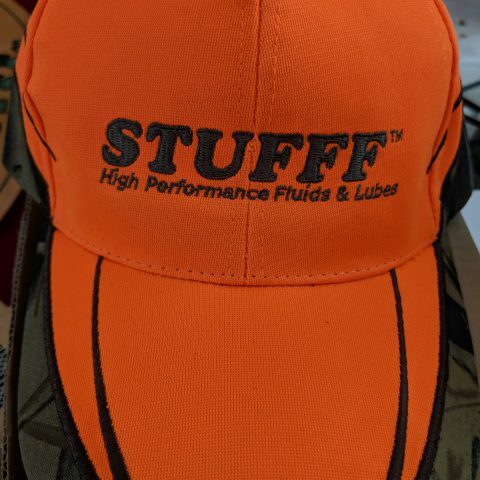 Environmentally friendly products don’t usually get labelled “High Performance” but Shop STUFFF is just that. This all natural formulation of Canola oil methyl ester and citric acid makes this one of the most powerful penetrants on the market. 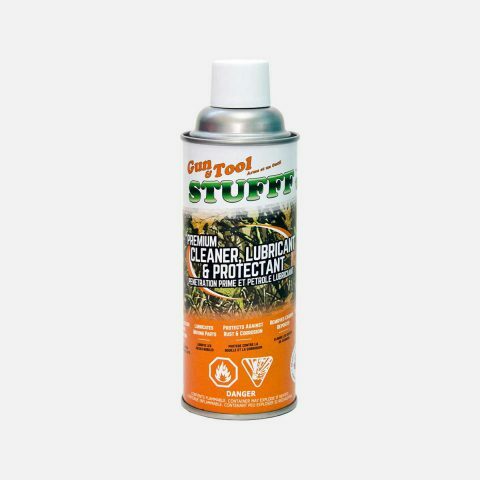 Shop STUFFF is derived from 100% Canadian Canola oil and formulated with no petroleum ingredients in order to produce a product that does NOT contain the typical carcinogens that competitive, petroleum based lubricants do. If you are typically covered from finger tips to elbows in shop fluids all day why not make it a fluid that is as safe as the salad you eat at dinner. Most important, it works as good, if not better than it’s petroleum based counterparts. Canola oil has superior lubricity, it’s better at being slippery than petroleum oils, which has no lubricity when it comes out of the ground. It gets its oily characteristics from chemical additives. The canola alternative has other benefits too. It’s Biodegradable, environmentally friendly, non-toxic, completely renewable and it has a very high flashpoint making it virtually non-flammable in its liquid state. Muffler shops love it because they can throw the torch on nuts and bolts that have Shop STUFFFtm on them and they don’t get a big flare up like they do from petroleum base products. When used as a cleaning agent Shop STUFFFtm is effective at removing rust, grease, water, other oils, dirt and most contaminants. 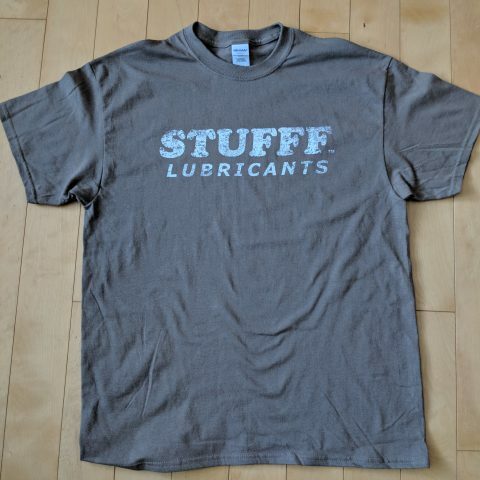 Shop STUFFFtm is a superior solvent making it a truly multi-purpose lubricant. Shop STUFFFtm also provides long lasting corrosion protection on untreated metal surfaces. Shop STUFFF with its slight citrus aroma makes it much nicer to work with than many other products on the market. For use on any metal application where tough to turn, seized and rusty metal is making your work a challenge. Will clean and remove rust, oil, grease, gun powder residue, paint, exhaust soot, dirt, etc. Being a racer, I need all suspension parts to move freely all the time, I use Stufff every week to keep everything moving flawlessly. I also use it on wash day to get rid of caked on grease and oil. There’s too many uses for it to list! I can’t believe how good Stufff is. I had a jack on my trailer that was so solid that I bought a new one because I sprayed everything on it and nothing worked. I sprayed Stufff on it, let it sit ‘til the next day and I couldn’t believe that it was working. I was so surprised that it moved, let alone worked. I am a firm believer in Stufff, it is awesome. I work in the automotive sector, your product works great. Good work people! Had a few squeaky doors in the house… Stufff took the squeak out immediately. guy that I was going to take the motor to. While it was sitting here I thought I would try to unseize it. I took the plugs out and sprayed some Shop STUFFF, put the plugs back in and let it sit a day. A few days later I tried it and to my surprise the motor turned over. Another pull and it fired on the STUFFF. Very pleased with this product would definitely recommend it to others. Good product, but too expensive. Also, why are you selling it in 19 liter or 5 US gallon pail? That is deceiving, people think they are getting 22.7 liter pail when you say ‘5 gallon’ pail. After all, you are in Canada! Sharpen your pencil on the prices and your sales will double. Thank you for your inquiry. We have our products priced just under their petroleum counterpart in the same market space. For example, WD-40 specialist sells for anywhere from 14 to 18 depending on the store. You may find it a little less in some places or even a little more in others. Another petroleum counterparts would be Krown penetrant ($14.95). There is also Fluid Film and Break Thru. There are several on the market but none are safe and non-toxic. As for the pails, we buy our heavy duty pails from Uline. 19L or 5 US Gallons is the most economical size for our application. Anyone looking for the volume in Gallons is going to likely be American so it works. We appreciate your feedback. Thanks again and have a nice evening. Recently had a can of Stufff donated to my shop from a local distributor to try it out. Let me say that this stuff works incredibly well. From seized turbo bolts to belt dressing, we will be looking forward to saving time, money, and knuckles thanks to Stufff! 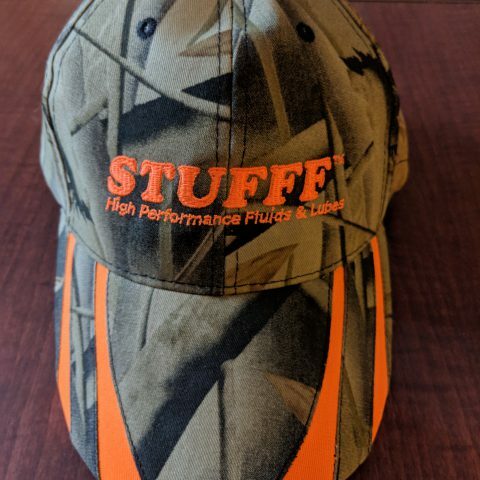 Thank you Harold Peters for introducing my shop to Stufff! Thanks for your comments Derek. We’re glad you’re liking Shop STUFFF.